Very nice printing & illustration. This book has really proved to be an eye opener. Did not even think I could complete the problems so quickly. This is what I was looking for myself. 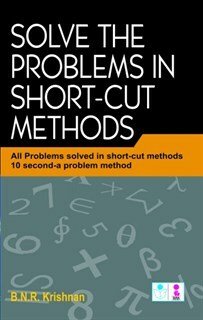 Now, I can solve problems in short cut manner as provided in this book. The author has done a good job. All examples given are very easy to understand and the directions are very clear.